Watch this video about insulating exterior walls with AirKrete. Injection foam insulation is sometimes referred to as injected foam or injectable foam insulation. Whatever term you use, this relatively new type of home insulation is gaining a strong following among homeowners who want to make their homes more comfortable and less expensive to heat and cool. Injected or injectable spray foam insulation is not the same as expanding spray foam insulation, even though the two materials look alike. Expanding spray foam (aka spray polyurethane foam, or SPF) does what its name suggests, expanding after it’s applied, sticking to the surfaces it contacts, and then hardening to form a permanent insulation, air and moisture barrier. Because of its expansive force, this type of foam can’t be injected into enclosed building cavities because it will cause gypsum board or sheathing to bow or pop away from the framing it’s attached to. We are your trusted resource for injection foam insulation in Saginaw, Grand Rapids, Esko, Two Harbors, Nisswa, Duluth, Superior, Cloquet, Ashland, International Falls, Moose Lake, Bovey, Hibbing, Cohasset, Carlton, South Range, and all surrounding cities and towns! 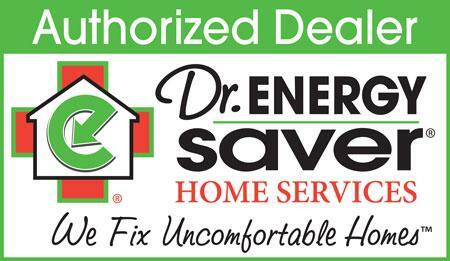 Contact us today to schedule a free estimate for home insulation upgrades and installation. iFoam is safe, fast and super-efficient. It just takes 3 steps to surround your living space with foam insulation that stops drafts, increases the thermal resistance (R-value), and cuts the cost of staying comfortable. Super energy efficient. Like spray foam insulation, iFoam combines the benefits of air sealing with high R-value. iFoam is rated at R-4.6 per in. at 75degrees. But iFoam’s R-value increases to R-5.1 per in. at 35degrees and lower, providing added insulation value when you need it most. Cool. Standard 2-part spray foam heats up after application, while iFoam actually cools down. iFoam cures quickly and safely. With iFoam, there’s no potential for excess heat. Water-based. iFoam doesn’t rely on a solvent-based chemical process; it’s a water-based product. No hazardous fumes are produced during or after application. Our application technicians wear safety glasses and gloves rather than hazmat gear. Perfect for retrofit applications. Many 2-part foams can’t be sprayed into a finished wood-frame wall because high expansion rates will cause the wallboard to bow or even pop off the wall. iFoam is non-expanding. It’s designed to flow and fill around electrical wires, outlet boxes and existing underperforming insulation. It’s a great way to give an existing house a comfort and energy-efficiency makeover. Injection foam does not expand after it’s applied, so it won’t cause damage when injected into a wall cavity or other building cavity. In fact, the foam has ideal qualities for upgrading wall insulation levels. (It’s sometimes referred to as “wall injection foam.”) Once holes are drilled in the wall (from inside or outside the house) to provide access to each stud bay, an application hose is inserted and the injection foam is applied. With the consistency of shaving cream, the foam can totally fill an empty cavity or flow around an existing fiberglass batt, eliminating air spaces (voids) and sealing all air leaks before the foam hardens. Access holes are filled with wood or foam plugs when the installation is complete. Injection foam can transform leaky, energy-wasting walls into airtight, well-insulated walls that improve interior comfort and reduce monthly utility expenses. Unlike SPF, injectable foam is not super-sticky and difficult to remove when excess foam attaches itself to finished surfaces. Injection foam simply washes off with water. It’s safe during and after installation because it outgases no harmful fumes. Call 1-855-580-2907 or contact us online to schedule a free home inspection and home insulation estimate. We also offer a comprehensive home energy audit to properly identify and diagnose your home's leaks and suggest the appropriate repairs. We are the authority in injection foam insulation in Minnesota & Wisconsin. Contact us for a free estimate in Esko, Superior, Grand Rapids, Saginaw, Nisswa, Two Harbors, Duluth, Moose Lake, Hibbing, Ashland, Bovey, International Falls, South Range, Cohasset, Cloquet, Carlton, and more!